TRAVEL.org - Maine. Find lodging in Maine, activities, and lots of info. Visit Maine with info on cities, and tourist links. Maine Info: Lots of information here about all things Maine: Lodging, Activities, Festivals, City guides, and nightlife. Best Western York Inn in Southern Maine - If you’re traveling to York Harbor, ME, our York lodgings in the heart of southern Maine are ideally situated for your coastal vacation, family reunion, or romantic getaway. Courtyard Bangor - Courtyard by Marriott Hotel Bangor, Maine. Bangor's newest hotel featuring Marriott's new interactive lobby and guestrooms designed for function and comfort. Maine Lodging Info. Find B&Bs, hotels, motels, cabins, resorts, and campsites. Search by region. 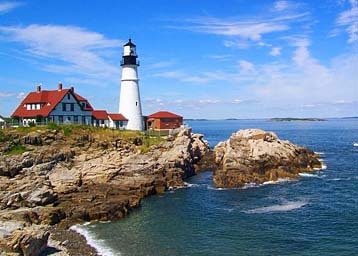 Portland Maine Hotels and Accommodations - Discounted rates on Hotel rooms, Car Rentals, Flights, Vacation Rentals. Discountedhotels.com, your complete travel resource. Festivals and Calendar of events throughout Maine.